Last Thursday saw a great event held by the tireless Emma Jones and Enterprise Nation, champions of British homeworking. The great and the good (and a few folk like me who fell through the cracks) came together to hear predictions for the year ahead. 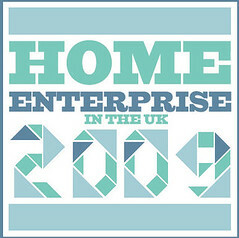 Find out all about what 2009 holds for us all on the Enterprise Nation website. But to sum it all up: more. More people doing more homeworking. There’s more good news too. The internet will be playing a key role. Social networks and ecommerce will be fuel for this increase in homeworking. At the event, held at One Alfred Place (a members’ club and working space that I’d never been to before), I was struck by the many bullish comments I heard from the folks I spoke to. Of course it’s tough and will probably get worse. But there’s plenty of opportunity. Discipline is vital. Having confidence is critical. Don’t believe what you read in the papers. My internet connection is exceptionally rubbish today, so while the page was slowly loading, I thought I read “confidence is viral”. I think that’s true too.